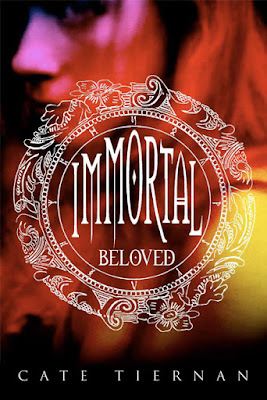 Immortal Beloved is like an onion. You peel the first layer to get to the next, and on and so forth until you get to the center where there are finally no more layers. I love when books unfold this way. This book has been sitting on my shelf for a while. Like, for a REALLY long while. I am not really sure why it took me so long to finally pick this book up. What made finally pick this book up, was when it dawned on me that it was written by Cate Tiernan, who is the author The Sweep Series, which is one of my most beloved series of all time. So, I finally pick this book up and I immediately fall in love because Cate Tiernan is such a fabulous writer. Not to mention she creates some of the most memorable characters. Insert Nastasya. She is hands down, one of the most, if not the most, hilarious female character that I have ever read. Her head space and her antics are out of control! She had me giggling out loud throughout the entire book! Nastasya or Nasty, as her friends call her, is an immortal that has been living the high life. Getting high on drugs, alcohol, adrenaline. Anything that can make her feel "alive". However, after a disturbing display from her best friend, she soon discovers that she is not truly living at all. The next day she runs away from everything she has, and everyone she knows, to hide away at River's Edge, a sanctuary for immortals. While at River's Edge, Nastasya has to learn how to be "human". How to be "normal". How to appreciate the life that she was given, and how to control her dark urges. This is no easy feat for Nastasya, in fact, it is one hell of an uphill battle. She knows nothing of what it means to be an immortal. The other immortals she meets at River's Edge are completely confused as to why an immortal of Nastasya's age knows nothing of her heritage, while "baby" immortals, know so much more than her. Nastasya has secrets. Horrible secrets that she has buried deep. Secrets she has shared with no other person in the world. Through the mentoring of River, and the other "teachers" at River's Edge, some of these secrets begin to come to light, and Nasty learns who she truly is, who she is meant to become, if she can learn to be brave, and of course, if she control her dark heritage.